CRIA has just suffered a decisive setback in the Federal Court of Appeal. Earlier this year, I blogged about how CRIA objected to its Class “B” members (i.e. the Canadian Indies) having to answer interrogatories in a Copyright Board proceeding involving an internecine dispute with the music publishers over online music. CRIA’s position was that “When it became clear that the interrogatory process was too onerous to involve its smaller members, CRIA withdrew on their behalf." This is a position with which anyone familiar with Board hearings from an objector viewpoint would tend to sympathize. Of course, CRIA’s concern about onerous interrogatories is nothing if not ironic, given CRIA’s key stakeholder role in the CPCC - which is infamous for its onerous interrogatories. Onerous interrogatories have succeeded many times in recent years in driving even large and sophisticated objectors out of Board hearings, for example Archambault and Canoe, not only because of the burden and expense involved but the intrusive nature of the process, concerns about confidentiality, and the often doubtfully relevant nature of the interrogatory questions themselves. CRIA asked for reconsideration, but the Board stuck to its guns. CRIA then went to the Federal Court of Appeal on judicial review. On October 17, 2006, straight from the Bench and with costs, and reportedly without even needing to hear the respondent Attorney General, the Court dismissed CRIA’s application. Once again, the reasons come from Justice John Evans, the dean of Canadian administrative law. They are brief and blunt. It will be interesting if the Board more extensively uses its confirmed powers under this section and more generally to be more proactive in the public interest or the interests of members of collectives. I do have some thoughts on this and will post them in due course. Ironically, in the interim since this case developed, most of the important Canadian Indies have left CRIA - and taken up their own position on copyright. See their very informative website. I should point out that I have been involved for a long time in opposing the CPCC at the Copyright Board. I also opposed CRIA in the file sharing litigation. But, as always on this blog, these thoughts are solely mine. Ms. Danielle Bouvet: I believe that Ms. Oda, our minister, has already said that this bill is a priority for her. She has already announced that she wants to act as quickly as possible to ensure that our Act complies with our international obligations. Here’s the link to the whole session. Michael spotted this a few days ago - and it’s a really unfortunate statement because it’s based upon an inaccurate premise and is, frankly, misleading. Canada is in full compliance with its current international copyright obligations, unlike a certain neighbouring country that is strongly pressuring Canada to implement and ratify the 1996 WIPO Treaties but which is itself in ongoing violation of the 1994 WTO TRIPS agreement, as finally adjudicated by a WTO panel. Needless to say, Canada has not ratified the 1996 WIPO Treaties and therefore has no “international obligations” to implement them or ratify them or to enact any of their provisions. Interestingly, the USA (oops, I said it) is fully bound by the WTO TRIPS agreement, which it continues to violate with respect to s. 110(5) of its Copyright Act. It may have reached a “temporary arrangement” with the complainants, but that unsatisfactory temporary arrangement is getting increasingly permanent and will doubtless come back to haunt. And it’s getting harder and harder for the Americans to say that they comply with the moral rights provisions of Berne, which is something that Canada has done since 1931. One after another, US court cases are stripping away sustenance for the US argument that it provides the equivalent of moral rights protection. Moral rights are very important to creators and Canada should be proud of its long acceptance of this basic principle that has been fought hardest and longest by the American entertainment industry, and the US government - which managed to carve out moral rights from the dispute settlement mechanism at the WTO. If that “international obligations” phrase sounds familiar, it could be because it is essentially identical to the language of the PR and GR machine of the CRIA, (Canadian Recording Industry Association) or, the Canadian Recording Industry of America, as many call now call it. The WIPO treaties were signed by Canada in 1997, but have yet to be implemented here. Some commentators, viewing the proposed provisions of Bill C-60, question whether the draft will be effective and whether it will allow Canada to implement its international treaty obligations. Perhaps the Minister of Canadian Heritage and her officials are feeling some pressure on this copyright account from the US government - which is surely the only reason why anyone in Ottawa is even listening to CRIA these days on this subject or anything else for that matter. After all, CRIA lost several of its most important Canadian independent members earlier this year. There are no organizations representing independent Canadian interests that are nearly so aggressive on WIPO ratification. And speaking of treaties, it’s ironic that Canada is now in such a hurry to ratify the 1996 WIPO Treaties - which were controversial and problematic for Canada from the get go - and are rapidly becoming stale dated in any case. At the same time, it has become apparent this past week that Canada is backing away from our actual, real and existing “international obligations” under the KYOTO Accord. Maybe we’ll do something by 2050. What these two positions clearly have in common is that they suit the current US Administration. So, ironically, about the only thing that will last longer than Mickey Mouse’s copyright will be Canada’s timetable to clean up the air we breathe. Of course, don’t count Mickey out for copyright term extension in Canada. He may have lost the first battle in the Mouse in the House aka Lucy Maud Montgomery episode. But that won’t be the end of the war. So, his copyright may yet live long enough to see cleaner air in Canada. Do we, as a country, give a higher priority to protecting the American entertainment industry’s “right” to higher royalties from Canadians than Canadians' rights to clean air? The long awaited Copyright Board decision on NRCC’s proposed background music tariff was released on October 20, 2006. Although the Board admired the “eloquent” closing argument of NRCC’s counsel, it basically rejected most of NRCC’s arguments and evidence. At the end of the day, NRCC will get 43.06% of what SOCAN gets for the equivalent activity - covered in SOCAN’s Tariff 16. The 43.06% reflects the fact that NRCC does not have all the repertoire used and not all of the repertoire used is “eligible” for remuneration in Canada. The figure could have been even lower - as low as 36.12% according one of the lead objectors. The fact that is as high as 43.06% is about the one immediate victory that NRCC can claim in this instance. There are some aspects of the decision that could raise concern for objectors for the long term. But overall, for the moment, it is a victory for the objectors at the Board. The now defunct CCTA (Canadian Cable Television Association), appears to have devoted considerable resources to fighting this tariff and seems to have led the charge, along with several other objectors. By way of background. On May 11, 2002 the Neighbouring Rights Collective of Canada (which represents performers and record companies) filed its background music tariff - which covers the delivery of background music to commercial establishments, such as restaurants and hotels. The hearing was held in April, 2005. The decision was rendered on October 20, 2006, about 1 ½ years later. That’s about 4 ½ years in total. This is one of the Board’s more detailed decisions, as if anticipating the Federal Court of Appeal’s ruling of last week that will now force the Board to provide more detailed reasons. This decision will not be an easy one to reverse on judicial review - because by Board standards, the reasoning leading to the rate calculation is more detailed than usual and there doesn’t appear to be any obvious legal error. • “neighbouring rights” are just as valuable as traditional composers’s and author’s copyrights and that record producers and performers are EACH entitled to the same share as SOCAN. The latter argument is particularly bizarre, but NRCC persists. To suggest that a record producer who may front an advance, pushes buttons in a recording studio and distributes CDs is entitled to the same level of remuneration for a public performance as an Irving Berlin or Lennon/McCartney or Leonard Cohen who wrote the song is tantamount to an attack on the real creators of music. Very occasionally, a performer can “make a song” that would otherwise go nowhere. In these instances, the performers usually do very well indeed through other mechanisms (concerts, record contracts, endorsements, etc.) as do the record companies. But without composers and authors, there would be nothing to record or perform. The Board held the line by valuing neighbouring rights in total equally overall to traditional copyright - which some would argue is still an overvaluation. But it’s a predictable Canadian compromise. In Europe, neighbouring rights are still regarded as something removed from pure copyright. 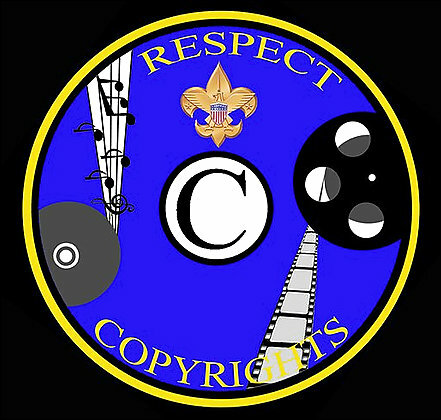 In the USA, most of what Canada considers to be neighbouring rights are not even recognized as such under copyright law. What should the objectors be concerned about in this decision? Although the Board rejected a number of NRCC’s arguments, it did so mainly because it felt that the evidence wasn’t there - this time. For example, the Board left it open to NRCC to charge separately for separate rights (performance + communication) involving the same single transaction - by coming back with better evidence. More layering in store....Some of the arguments could have been rejected out of hand. This invites a substantial change and more trouble in the future, if NRCC is able or willing to marshal better evidence. Also, the Board has explicitly disagreed with some important aspects of its own 1996 SOCAN Tariff 16 decision, which no doubt will make SOCAN happy - because that Tariff is up for a new round of hearings - but will cause uncertainty. While administrative tribunals are not bound by stare decisis, there is a certain virtue in predictability and certainty - unless the earlier decision was clearly wrong. So, this is a temporary victory for users of background music and maybe even for users generally in terms of recent trends at the Copyright Board. But it may only be temporary. Time will tell. This tariff lasts until 2009. By the time this comes around again, the Board will hopefully have updated and rationalized the other background music tariffs, namely SOCAN Tariffs 15A and 16. One overall concern about the decision is that it will be largely inscrutable to those without considerable familiarity with the Board’s past tariffs and the roles of SOCAN and NRCC. For all of its relative length, it does not really put this tariff into a full and transparent context. For example, the decision fails to adequately explain that ANY business can provide its own background music for free by operating a “radio receiving set”, as enshrined in s. 69(2) of the Copyright Act. This historical exemption is something that small businesses or even big businesses with small premises who can use a “radio receiving set” need to be more aware of. This is a very useful exemption. Many businesses are probably needlessly paying money to SOCAN and NRCC - when they could use a “radio receiving set” - the only cost required being the cost of buying it and the electricity to use it. This is one exemption that SOCAN and NRCC would really like to repeal - and SOCAN certainty has tried and very nearly succeeded. But hopefully the Government will remember the considerable history and importance of it and leave it intact. Any attempt to get rid of it would and should cause enormous controversy. To its credit, the Board put a reference to s. 69(2) in the tariff itself, but this will likely be lost upon members of the public who don’t know what it is all about and how helpful it can be to small business establishments. On October 14, 2005 the Copyright Board gave SOCAN and NRCC an increase in the tariff payable by commercial radio stations amounting to about 30% by the Board’s own estimate. The hearing had taken place in May, 2004 - about 18 months earlier. The Canadian Association of Broadcasters (“CAB”) - which was largely responsible for the establishment of the predecessor the Board to deal with the predecessor of SOCAN about 70 years ago - was very upset, calling the decision “aberrant and unreasonable” and referring, controversially, to the Board as “renegade”. After only one week of deliberation, the Federal Court of Appeal (“FCA”) on October 19, 2006 has granted, with costs, a judicial review application by the CAB on the basis of “the inadequacies of the Board's reasons respecting the quantification of the royalty increases attributable to both the historical undervaluation of music, and the greater efficiencies achieved by the industry through its use of music”. The FCA declined to reverse the Board on its alleged failure to take into account the “cumulative royalty burden” resulting from the “proliferation in the number of rights holders to be compensated”. This additional burden - of course - flows from the decision of Parliament in 1997 to recognize neighbouring rights. The Board is entitled to the greatest deference in the exercise of its discretion to set a rate and, accordingly, the discretionary decisions lying at the heart of its expertise are reviewable only for patent unreasonableness. However. it must explain the basis of its decisions in a manner that enables the Court on Judicial review to determine on the basis of the reasons, read in context, whether the decision was rationally supportable. When an administrative tribunal's decision is reviewable on a standard of reasonableness, its reasons are the central focus of a judicial review: Law Society at New Brunswick v. Ryan,  1 S.C.R. 247, 2003 see 20, at paras. 48-9, 54-55. In my view it was not sufficient in the circumstances of this case for the Board to justify its quantification of the undervaluation by merely referring to the evidence taken as a whole. It is not enough to say in effect: "We are the experts. This is the figure: trust us." The Board's reasons on this issue served neither to facilitate a meaningful judicial review, nor to provide future guidance for regulatees. This appears to be a victory - for at least the time being - for the CAB. But the really interesting question is what effect this could have on the Board itself. The Board already takes considerable time - often well over a year - to render its reasons, which are invariably carefully written and which hitherto been considered close to “bullet proof” in terms of appellate deference to rate calculation, review of the evidence and the other matters in which the Board is presumed to have great expertise. Traditionally, the FCA has refused to get involved in such issues unless there is “patent unreasonableness” in the decision. Now, however, it seems that Board must now explain in greater detail how it gets to its bottom line. And in some respects, more detailed reasoning may open up even more possibilities for judicial review. Merely referring to the often voluminous evidence filed before it is no longer going to be sufficient. The new regime set forth by Justice Evans may also lead to the need for the Board to evaluate more critically and analyse the quality of the evidence it relies upon, and why it is being relied upon. Evidence at the Board is often less than convincing. It is sometimes hearsay by any measure and is sometimes submitted by persons whose independence as experts could be readily challengeable in a court of law because they have a close ties with the collective that retains them to testify before the Board. Below the tip of this iceberg is the fact that Parliament has chosen to largely delegate - some might say “abdicate” - a lot of power to the Board to not only determine terms, conditions and rates of tariffs but to effectively make law from square one. This is in stark contrast to many royalty issues in the USA, which are spelled out in often gruesome detail. At the other end of the spectrum from broad law making, the Board routinely rules on procedural matters such interrogatory disputes (the Board’s somewhat analogous procedure to discoveries - except that there is no oral examination). There are often significant disputes as to what is relevant or too burdensome. Almost invariably, the Board provides no or at most extremely brief reasons for its procedural rulings. Justice Evan’s decision will create a dilemma for the Board. There is already criticism, that that Board often takes well over a year following a hearing to render a decision. And the lead up to the hearing is often a couple of years. And in recent years, the Board’s panels have usually consisted of only three of its five members. In a report in Lawyers Weekly, September 8, 2006, Arnold Ceballos reported that Mr. Justice Vancise, the judicial Chair of the Board, recently acknowledged in a Toronto speech that there are substantial delays. Judge Vancise reportedly stated that “If the Supreme Court of Canada can render a decision in six months I can see no reason why this Board cannot do better”. The Judge certainly and commendably seems to be trying to help to move things along. Of course, it’s not easy to compare statistics here. It’s an interesting question as to whether the Supreme Court of Canada is the most appropriate proxy for a benchmark for pendency of decisions . But that is a subject for discussion elsewhere. The immediate question is whether the need for more detailed decisions result in even longer delays in the release of decisions at the Copyright Board? It will be interesting to see what the Board will do about this particular decision. It apparently has to hold another hearing - and to give more detailed reasons. There may be new evidence. The FCA said “On these issues of quantification, the Board may invite the parties to supplement the existing record with new evidence and submissions.” Will “may” mean “must”? If so, could it be virtually a de novo hearing? Also, the two members who did not hear the case before must now be involved. Will they review the previous record or should they hear the case all over again? Will this mean another three person panel or a full five member panel, which has been rare in recent years? This is all very interesting - and will undoubtedly be very costly to the parties in fees alone. Will the Board change the result - or will it reiterate its previous decision - but with more “adequate” reasoning? Could it result in an even higher tariff? And when will we know the answer? The Hong Kong progoganda perversion of the Boy Scout movement is spreading straight to LA. 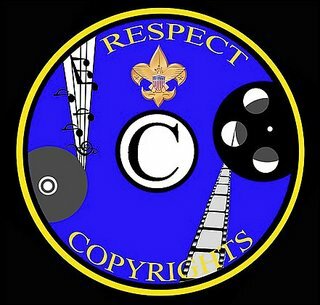 Scouts will be instructed in the basics of copyright law and learn how to identify five types of copyrighted works and three ways copyrighted materials may be stolen. Scouts also must choose one activity from a list that includes visiting a movie studio to see how many people can be harmed by film piracy. They also can create public service announcements urging others not to steal movies or music. BTW, I hesitate to ask but I wonder where Captain Copyright is these days? Has he completed his therapy, probation or whatever program his creators announced a while back? Here’s an update of my earlier posting and a brief take on yesterday’s American decision. The US Register of Copyrights has just rendered a very important decision on ringtones, which can be found here. The proceeding was commenced on August 1, 2006. After written submissions received on September 14, 2006 and a brief oral hearing on October 4, 2006, she yesterday issued a detailed 35 page single spaced decision with 137 footnotes, one of which refers to the recent Canadian decision on a small point. Bill Patry has a good analysis of the decision on his blog. 1. Providers of ringtones in the USA may avail themselves of the compulsory license regime found in s.115 of the US Copyright Act. Canada, probably unwisely, abolished the compulsory mechanical licensing regime for musical works in 1988. Not only has the USA retained its compulsory license for mechanical reproductions - but has created a new compulsory license regime in the form of the Digital Performance Right in Sound Recordings Act of 1995, which was held to apply in most cases to the provision of ringtones as songs or portions thereof as a “digital phonorecord delivery” or “DPD”. The argument that the compulsory license applies only to a whole song and not a portion thereof was rejected. Generally speaking, it appears that there will be a one stop shop mechanism for ringtone providers to get a compulsory license for monophonic, polyphonic and mastertone ringtones, except in the presumably rare case that a ringtone comprises sufficient originality to be a “derivative work” under American law, or is an newly created composition and recording never before distributed to the public. 2. Although the actual rates are not yet determined, they will likely be MUCH lower than in Canada - where a initial 6% solution was imposed (essentially half way between SOCAN’s number and the objectors’ number). And Canada has not seen the end of ringtone tariff costs, because the 6% goes to SOCAN and the other “colleges” of rights holders will soon want their piece of the pie in addition. • Not everything about US copyright law is bad. Au contraire. This decision illustrates an example of what is good about it - namely it is much more technologically neutral in the result than we see in Canada in this instance. It may turn out as well that that Congress saw more clearly into the digital future in 1995 in some respects than Canada has yet managed to do. Canada is still grappling with some of the less desirable last century aspects of US law, such as the DMCA - while ignoring what is sometimes better and more prescient about US copyright law. • The Copyright Office has shown its ability to deliver a very learned decision very quickly. The process - which involved referral of a question of law by the Copyright Royalty Board to the Register of Copyrights - started on August 1, 2006 and resulted in the ruling of October 17, 2006 - less than three months. The lengthy delay of 14 months in the rendering of the Canadian ringtones decision - this following a two year lead up of preliminary matters - will have a ripple effect on other Board hearings, especially since the Canadian decision is now the subject of judicial review and could be overturned. To be fair, the Canadian Copyright Board heard a lot of factual evidence that was apparently not dealt with in the American proceeding which was on certain legal issues only, and has determined a rate - which also has not yet happened in the USA. • But it should be asked whether Canada’s Copyright Board should bifurcate more often. Not every instance will turn out to be as much of a problem as Tariff 22. In fact, an early determination of some of the obvious legal questions in de novo tariffs - based upon a minimum evidentiary record if indeed needed - might save a lot of time and money overall. In some cases, tariffs have been so poorly conceived that the Board ought to find a way at the outset to say “try again next year” - and save everyone a lot of bother. • The American case illustrates the ongoing complexities and ironies of internecine warfare in the music industry. However, Congress and the Copyright Office appear to have a good understanding of how this works. One can only smile that the RIAA also has been caught, yet again, sucking and blowing. It often deplores the concept of compulsory licenses when it is on the receiving end, but is apparently quite happy to take advantage of them when it suits its needs. • The American decision is expected to result in falling prices to consumers in the “mobile industry” - whereas Canadian prices are clearly heading upwards due to high and layered tariffs. • This decision illustrates by contrast that Canada has a much more costly and complex system. That seems to be the Canadian way. This renews the question about whether or not the Canadian Board can or should do something to stop this costly and complex layering of tariffs. Paying much higher tariffs overall to more parties in Canada - when most of the money will go the USA and Europe anyway - is not very obviously in Canada’s national interest, to say the least. • Do we need another judicial commission to sort out what the bureaucrats, Parliament and the Copyright Board are all unwilling or unable to confront? Speaking of judicial review of the Canadian ringtones decision, it’s interesting that the remaining objectors have switched counsel and filed a Notice of Application. It will be interesting to see whether they now have a change of heart and attempt to argue that the provision of ringtones is NOT a “communication by telecommunication” - a point that was inexplicably conceded before the Copyright Board. Their Notice of Application for judicial review leaves this possibility open. This is a very important point and could affect, for example, the forthcoming SOCAN Tariff 22 hearing scheduled for April 17, 2007. It may affect the recently concluded CSI online music tariff hearing, which took place shortly after the Canadian ringtones decision was rendered. I had intended to argue that point myself at the Board, but my client MOVISO - the largest supplier of ringtones - decided to withdraw form the Canadian Copyright Board ringtone hearing, as have many other parties lately in other Board matters. I raised this point about “communication” again in my blog when the decision came out last month.